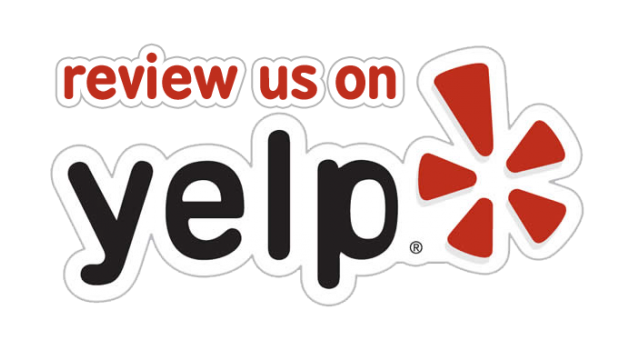 Are you looking for convenience and professionalism in a mobile dog groomer in Wildomar, California? Have a dog or cat that hates being put into a carrier and being taken to the groomer? Then call It’s a Dog’s Life Mobile Pet Spaw for all your full service mobile pet grooming needs. It’s a pleasant and stress free way to care for your pet. They won’t be confined for a trip in the car and then deal with a possibly frightening strange location with numerous other animals all around. You can trust your best friend to It’s a Dog’s Life Mobile Pet Spaw. We’re certified, licensed, and insured. We truly love animals and care about their physical and mental well being. That includes the special care required for heavy fur matting as well as the special needs of older pets and pets with health issues. We are certified in pet first aid and CPR and are a Certified International Pet Groomer. With our mobile dog and cat grooming services your pet will receive the one-on-one attention they need and deserve, and you’ll enjoy the time-saving convenience of not having to plan your day around drop-off and pick-up times. Interesting Wildomar Fact: Did you know that the population of Wildomar more than doubled between the years 2000 and 2010? We’re pleased to serve the area with over 32,000 residents with the very best in pet care. There’s no need to drive to anywhere else — we’ll come to you! The details of our “SPAWS” mobile pet grooming services are described below. As a mobile dog groomer we offer several different “spaw” packages. Our dog grooming services include shave downs, puppy cuts, all-over haircuts, and breed standard specific cuts. Depending on the breed and your lifestyle activities, we recommend dog grooming every 4 to 8 weeks. Feel free to ask us what’s best for your faithful companion. 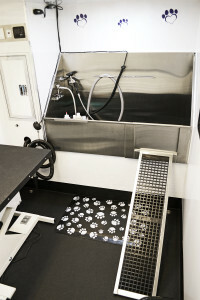 In addition to the basic pet “spaw” package (below), our cat grooming services include minor fur dematting, basic brushing, ear cleaning, and claw trimming. We also provide lion cuts and shave downs. We strive to make the experience a relaxed and pleasurable one, but it is true not all cats take to grooming as we would hope. If that’s your feline friend don’t worry we won’t force the situation. We will notify you and together we’ll decide the best way to move forward. 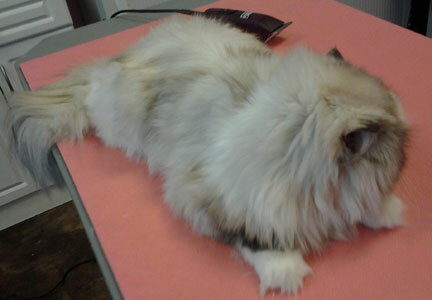 We recommend cat grooming every 8 to 10 weeks for optimum appearance and health. Our “Spaw” is a state-of-the-art self-contained mobile grooming salon with a climate controlled environment with hot water, a comfortable bathing station, and much more. For both dogs and cats our basic pet “spaw” package includes: minor De-matting, hydro-massage with all-natural shampoo and conditioner, fluff dry and light brush out, sanitary shave, nail trimming, teeth brushing, ear cleaning and ear hair plucking, eye-area cleaning, and nail trimming..
Major fur matting poses health issues, and requires special additional services and a bit of care and attention after your pets grooming session, we are more than happy to discuss those with you. We also offer furminator brush outs as well as a De-shedding treatment and flea and tick treatments. 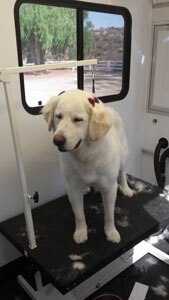 We like to think that all of our mobile grooming services are special, with each pet leaving beautifully groomed, healthy, and feeling pampered. Special Note: If you’re thinking about getting another pet, check out Animal Friends of the Valleys in Wildomar at http://www.animalfriendsofthevalleys.com/.